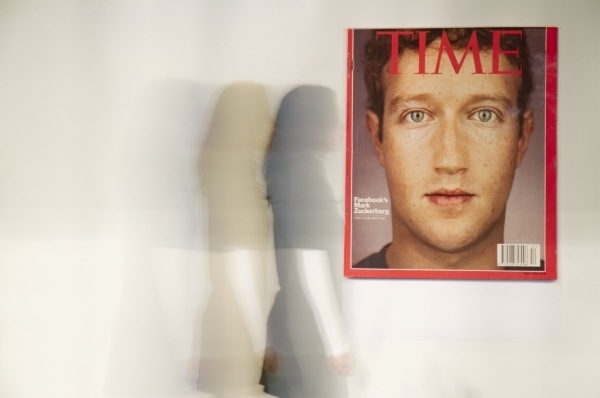 A cropped image of Facebook founder Mark Zuckerberg, on the cover of TIME Magazine, reproduced as a poster. Zuckerberg was TIME's 2010 Person of the Year. The poster was hung on the wall of the gallery and in several other locations across the CCAD campus. Some fared better than others. The TIME cover seemed like a significant moment to me - a publication which is representative of old-school top-down information propagation acknowledging the progenitor of a system which encourages the dissemination of information in a more horizontal peer to peer way. Commissioned by Bureau for Open Culture for Seventh Dream of Teenage Heaven at Columbus College of Art and Design. Curated by James Voorhies. The work was also shown at Seventh Dream of Teenage Heaven, Usdan Gallery, Bennington, Vermont. April 2011. 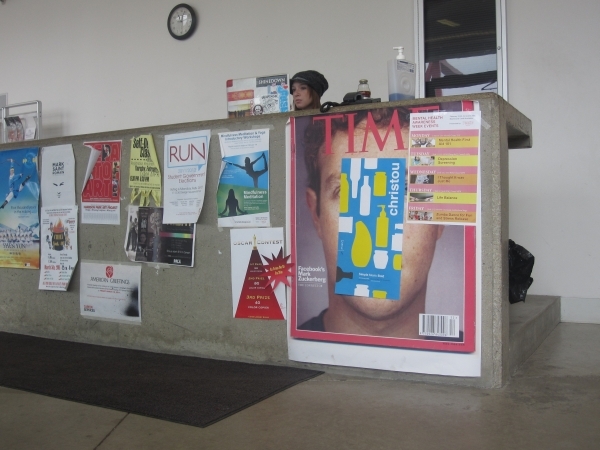 Facetime installed on the CCAD campus, Columbus, Ohio. Images courtesy Bureau for Open Culture and IMAGE Magazine, CCAD.